A number of Encyclopedic Dictionary entries have appeared or will appear in various pyrotechnic publications as a form of advertising. As those articles are published, we will post them here. The entries currently available are: aerial shell apparent angular diameter, aerial shell burst height, aerial shell burst spread, aerial shell drift, bullet effect, catalyzed propellant burning, ejection baffle, falling leaves, Hopkinson effect, Hopkinson pressure bar effect, igniter cord, ignition propagation energy diagram, incendiary device, inertial confinement, nozzleless motor, rocket motor mount, pressure transducer, safety hierarchy, types of propellant burning and Vieille equation. These combined entries are available for download from this PDF file . 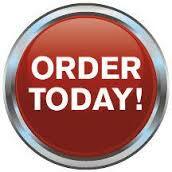 The 3-volume set of hard-bound books is now available in both Black and White and full Color. Because the books are Print-on-demand, they are quite expensive. Also, it takes up to 2 weeks for the books to be delivered in the US. Please note that with the purchase of a CD you are permitted to print a Black and White and/or Color copy using your own printer although even that is quite expensive. Photo/illustration credit is provided with each image unless provided by one of the primary authors. 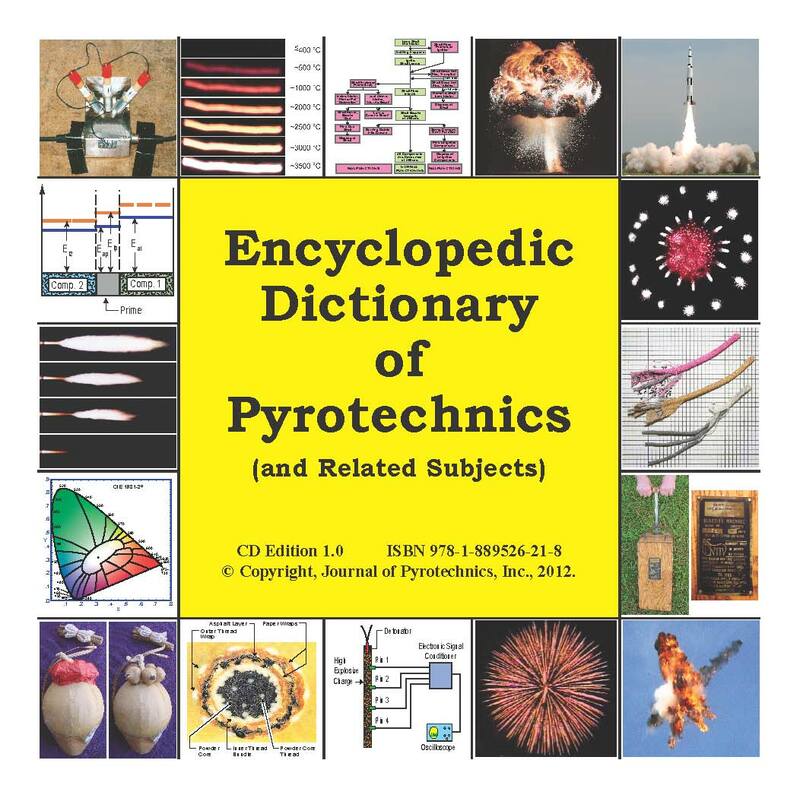 The Encyclopedic Dictionary of Pyrotechnics (and Related Subjects) is an updated and greatly expanded version of the Illustrated Dictionary of Pyrotechnics, originally published in 1995. It is initially being released as a CD. The Encyclopedic Dictionary consist of more than 4600 entries (not counting the 3300 cross-references, abbreviations and symbols), 1200 large-format (8-1/2 x 11 inch) pages, including 3000 photographs and illustrations, 600 pyrotechnic formulations and 500 data tables. In addition to many more entries, more explanatory information is included, with many entries ranging from 1/2 to 1 (or even several) pages. We started working on this project shortly after the first Illustrated Dictionary of Pyrotechnics, was published in 1995. We gathered information and worked on what would be an expanded version of the Dictionary, which was intended to be available in about two years. At that time, we envisioned a book around 400 pages. 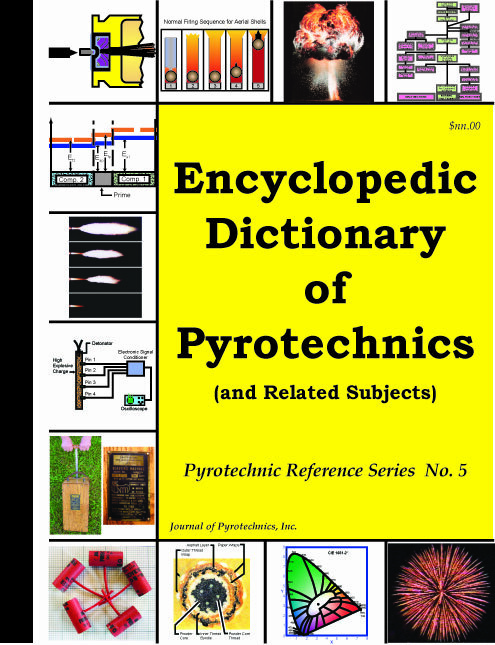 However, the work in publishing the Journal of Pyrotechnics, did not allow much time to work on the new dictionary. About 7 years ago, we started serious work on the current book. Along the way, we sought help, at various levels, from more than 100 people, who contributed written entries, sketches for illustrations and photographs. Although we spent most of the past two years working almost full time editing and finalizing the text, it seems like there is always more that could be done. As part of the technical editing process, each entry was assigned to one of 14 subject areas and then at least three technical editors, with solid expertise in one of those subject areas reviewed each of the entries associated with that subject area. This was followed by copy editing by multiple authors addressing format and other minor text related issues. In July, we decided to release the first edition of the new dictionary. In recognition that this project will be continuing, we released the first edition only as a CD. Offer comments on any improvements that should be made to the first edition, including suggestions for additions to the current entries. Perhaps write and submit some new entries for topics that are not covered. Provide images – either from photographs or from video clips, for example, to show the development of an aerial shell.